LG took a step back this year and decided not to launch a new G-series flagship at Mobile World Congress this year. After pondering over the name of the phone, The company’s chief ordered the mobile team to start the development on the G7 smartphone from scratch. It must be noted that LG’s mobile chief, Jo Seong-jin, ordered the redevelopment of the phone only when it was almost done and ready. So LG had already started working on a device called G7 (Neo) to take the helm of its lineup this year, and in fact, Neo made an appearance at MWC 2018. Israeli publication Ynet gave us a look at what would have been LG’s new flagship, if it weren’t for the timely intervention by Jo Seong-jin. According to VentureBeat’s reporter Evan Blass, it the LG G7 (Neo) might be the device LG scrapped. As you can see from the images, this alleged device carries a notch on top of the display. The back of the device, as you can see, carries a dual camera setup along with a fingerprint scanner. According to the publication, the G7 Neo runs on top of the Snapdragon 845 and includes 64GB of storage with 4GB of RAM. Apparently, there was another variant with double the storage and 6GB of RAM. The display measures in at 6-inches with a resolution of 3120 x 1440. And as the folks over at Android Police pointed out, that’s a 19.5:9 aspect ratio display, which is different from the G6 and V30. So, why was this device present at MWC 2018 at all, if it wasn’t going to be announced? Well, it’s unclear at this stage, but LG may have wanted to show off the new mobile platform – SoC, LG’s UI, cameras, display, etc. Although the hardware design is expected to change, the internal hardware, software, etc. are likely to remain still remain the same as the phone shown in Barcelona. However, as mentioned earlier, LG is already working on a redesigned G7 codenamed Judy, and it is expected that the notch will be removed from the final design. As you may or may not know, many major Android OEMs are copying Apple’s notch design. 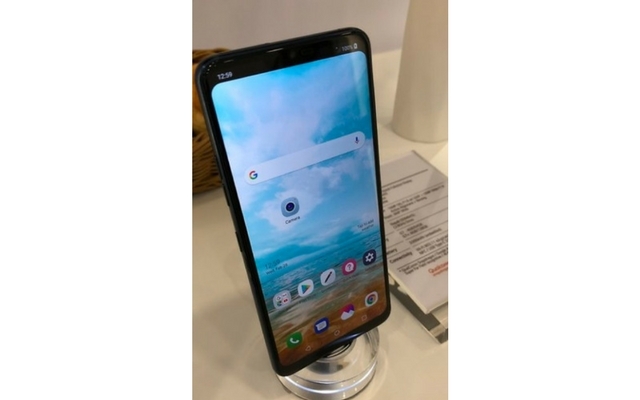 For instance, the new ASUS ZenFone 5 comes with a notch, and it literally looks like an iPhone clone. Perhaps LG wants to go for a traditional approach and stay away from the notch obsession. In addition, Motorola and OnePlus are also rumoured to be adding notches, while the likes of Vivo, and Doogee have already added their versions. 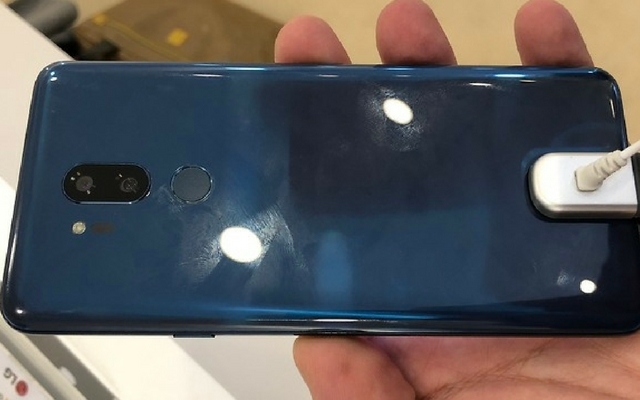 The notch copycats are everywhere, and it’s likely that LG didn’t want to be added to that group, which is why the G7 was shown in a limited capacity, before it’s redesigned. In case you’re wondering, LG did launch a pair of new smartphones at MWC this year called the V30S ThinQ and the V30S+ ThinQ. That being said, it’s unclear when LG plans to launch the new smartphone, and its future still remains a mystery. Lastly, Evan Blass also noted that LG was also showing off the “LG V35,” LG Q7,” and a new smartwatch at the event. Little bird told me that in the same venue that this G7 was being shown, there was also a Q7 and V35. And a new watch. So, do you like the LG G7 Neo design? Or do you hate that notch? Let us know by dropping a comment down below.